When will people figure out that spreading the word that Cindy Hyde-Smith, the Republican senatorial candidate from Mississippi, went to a segregationist academy, joked about public lynchings, wore a confederate uniform for photographs and waxed prosaically about Jefferson Davis, will only ensure that she ultimately gets elected? 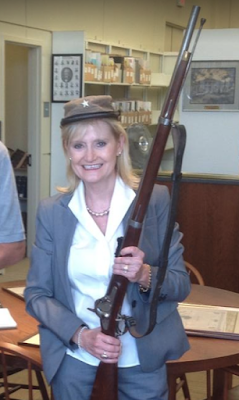 White people in Mississippi eat that sort of stuff up like pig knuckles. She might be madder than a wet hen and drunker than Cooter Brown but in her neck of the holler, she's finer than a frog hair split four ways.